Since 1999, Nike has offered the public a shot at its very own one-of-one sneakers via their iD program.The price isn't that outrageous compared to a general release and sometimes the colorway you needed might not have been what the streets were feeling. The options to put together whatever colors, textures, materials, and designs — Nike’s got you. Last year we broke down the 25 dopest Bespoke Air Force 1s, and today we got on the Nike iD Tumblr's greatest posts since it launched last year. 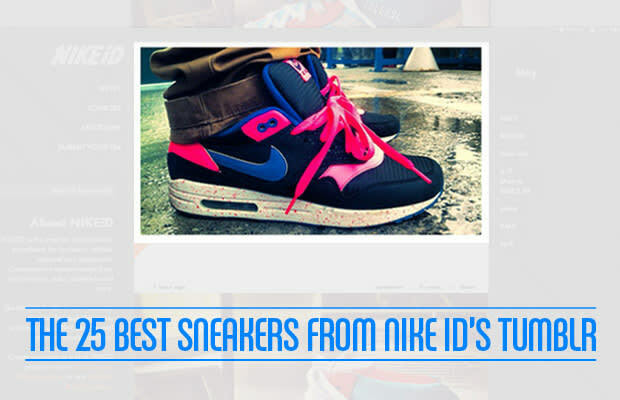 Click on the link to peep the gallery and see who made the list.